Magix Samplitude offers some unusual and attractive features, like the Elastic Audio editor. I've been using a Roland VS1680 for about six years now, and once I've finished off a couple of on-going projects I'm looking to upgrade to a PC setup. Until I read Paul Sellars' Magix Samplitude Professional v8 review in SOS June 2005, I was homing in on a specialist PC, Steinberg Cubase SX, probably a TC Powercore, some Waves plug-ins, and a Yamaha 01X front end, but I'm now also considering the Mackie Control as an alternative to the 01X. I know this is a difficult one, but can you tell me what you think would be best? 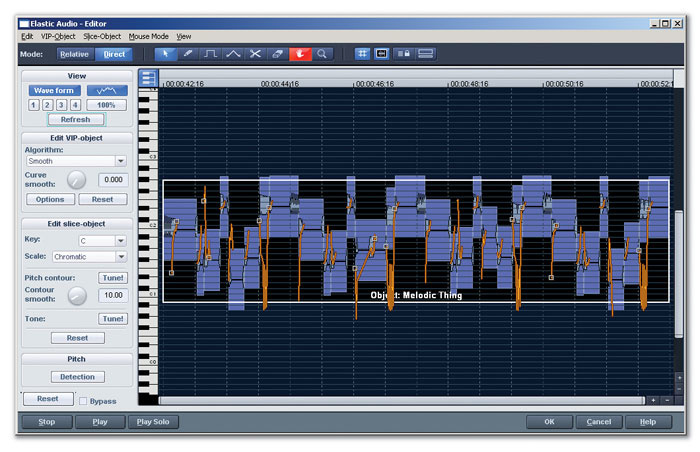 Features Editor Sam Inglis replies: It's tough to decide between competing programs such as Cubase SX and Samplitude — very probably, both of them will have all the features you need, and so it's a question of finding which one best suits your chosen way of working. For that reason, nothing beats being able to try them out for yourself, so if you know anyone who's using those packages, try to get some time with them before you make your decision. Failing that, see if you can arrange an in-depth demonstration at a local music store. As I understand it, the most important difference between the two is that Cubase SX works on a traditional 'virtual studio' model, where audio lives on tracks and effects are applied on mixer channels. Samplitude can work this way too, but its Arrange page is designed so that each chunk of recorded audio is treated as an independent Object, with automation and effects settings applicable to individual Objects rather than mixer channels or tracks. Some people find this way of working more to their taste, especially for mastering applications. As for the Mackie Control versus 01X debate, one thing you'll need to consider is that the Mackie Control has no audio I/O, so if you take that route you will need to budget for a separate audio interface.